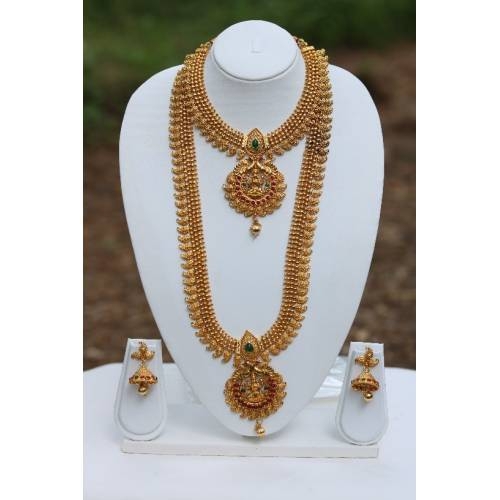 Green Maroon Laxmi necklaces setThis Antique Gold Plated Necklace Set For Women Is Made Of copper. Women Love Jewellery; Specially Traditional Jewellery Adore A Women. They Use It On Different Occasion. They Have Special I mportance On Ring Ceremony, Wedding And Festive Time. They Can Also Use It On Regular Basics. Make Your Moment Memorable With This Range.